Home - Top Stories - Forex Industry - A new type of trader – the teenager! When it comes to business and making money, many people don’t argue with their customers or users because of the golden rule “the customer is always right”. But what if your customer is a 16-year-old teenager trader with fake documents trading large amounts of money on huge trading platforms? Are Teenage Traders the most delusional? 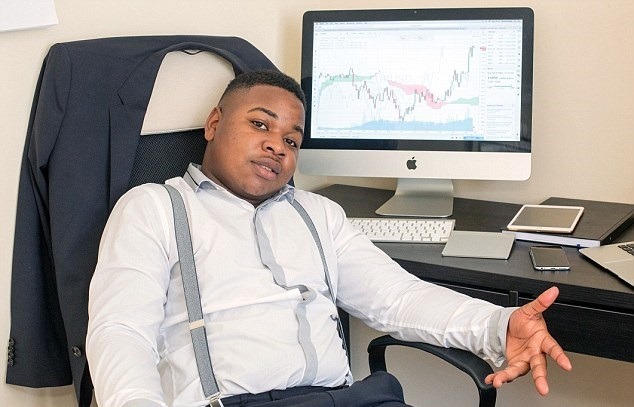 Just try to remember yourself when you were a teenager, did you even comprehend the idea of trading Forex? even if you’ve just heard about it you’d think it was just gambling and try to stay away. But today’s teenagers are jumping on the wagon being very confident in making lots of money on the market. Hoping to be the next Teenage Millionaire The small problem is that most teenagers don’t care about researching the market and making a well calculated and measured decision. I want to be a Teenage Trader Millionaire! It’s very likely that when you meet a teenage trader this is what they’ll tell you their goal is. Making fake ID or making a bank account with the help of a relative is the easiest it’s ever been. Therefore we can expect a substantial influx of young delusional traders flooding the market with their bad decisions. Don’t get us wrong, we would love to encourage every person to try out the market, but only when they’re legally allowed to. Some of the Teenage Traders are so good and so smart that they’ve already acquired millions of dollars to their names. However in the world of finance we all know very well how acquiring and maintaining large sums of money are equally difficult, therefore having little to none real-world experience these young millionaires need to think very hard about what they want to do with all that money. One of the main concerns that professional traders have that these inexperienced and emotionally driven youngsters can affect the market in a very bad way. Therefore potentially ruining the profits of many veteran traders. Last month, information was put out about biometric authentication, meaning that people will be able to log in their accounts using their voice, face, or fingerprints. The app will be compatible on literally every device and could be the start of securing the market from youngsters. It is understandable that you want to teach your child how to manage, grow and invest their finances. However letting them start without any type of guidance, hoping they’ll learn along the way, will be the worst thing you will do to them. Most likely if you leave them without advice and guidance they will get lost, lose nearly all their money and generally have a really bad first impression of the market. Therefore in order for us to avoid this scenario, you can create a custodial account for them and help them learn with you guiding them along the way. This way you will not only be introducing them to the world of finance but also showcasing your own skills with the market.